Hamamelis is Latin from the Greek meaning a medlar or service tree. The Viginiana species grows throughout northeast and southeast North America, from Nova Scotia to Florida and from the Great Lakes to Texas. Witchhazel grows as a shrub or small tree with arching branches, growing as a multi-stemmed group reaching 12-15 feet tall for shrubs and 20-30 feet tall as trees and 15-20 feet wide. Are ovate and alternate 2 ½ - 6 inches long, with wavy teeth on the margins. The upper surface is dark green. The lower surface is paler. Stunning yellow spikey flowers exude a spicy fragrance as they bloom in late October to early November, when most of the leaves of deciduous trees have fallen to the forest floor. They offer a visual treat to an otherwise bare forest. Each flower has four long streamer-like petals. In the center are other flower parts that are also four in number. Four stamens (male parts) are between the petals. And four sepals protect the flower until it is ready to open. The pistils (female reproductive parts) are in the center of the flowers. American Witchhazel is pollinated by a variety of insects; various fly species, bees, small wasps, moths and beetles. The pollinators are attracted by the color of the petals, fragrance and that there is not much else in bloom in the fall. If the weather doesn’t support pollination by insects, Witch hazel can self-pollinate. In the Spring is followed by the fruits beginning to develop. The previous year’s pollinated fruit capsules look like small flowers carved from wood. As the flowers begin to bloom, the the fruit capsules eject the seeds several feet from the shrub.The seeds wait two winters before they germinate. Some will be eaten by Grouse, Wild Turkey, rabbits and squirrels. Wicthhazel is a food source for several caterpillars of moth species. And there are several aphids hat produce growths on the trees called galls. They are the plants response to being used as a food source, but are seldom harmful to the tree. In fact may stimulate the tree to produce more protective chemicals. The galls are a fascinating site themselves. The tannins in the leaves and inner bark of Witch hazel protect the plant from herbivores and inhibit the growth of fungi and harmful bacteria. These same properties benefit humans. 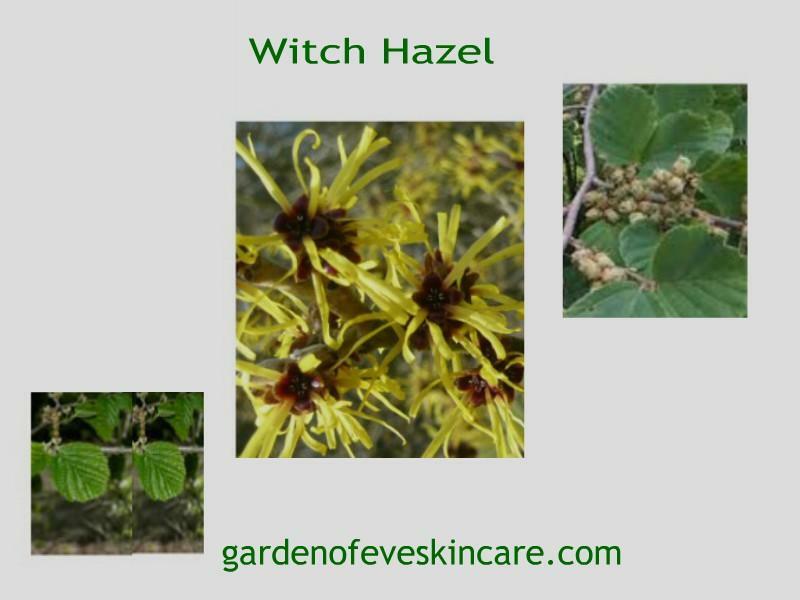 The name Witch hazel being based on the Anglo-Saxon word ‘wych’ that means bending, as the divining rod would bend toward underground water. This method of detecting underground water became an established feature of well-digging into the 20th century. It thrives best when planted in semi-shaded area, as it is an understory plant. Distilled from bark and leaves. 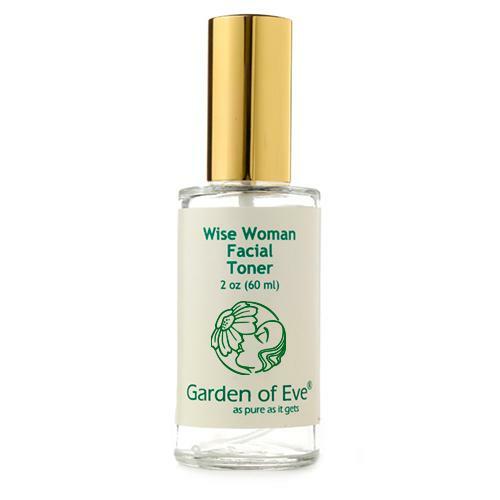 Pure distilled witchhazel hydrosol differs fromthe witch hazl sold in pharmacies and health food stores which contain as much as 30% alcohol, which is inappropriate for the health uses noted here.